Land Area: 6,369 sq. 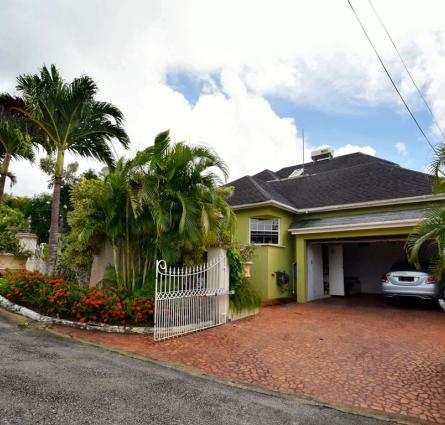 ft.
Centrally located and nestled within the well-established neighbourhood of Bagatelle Park is this 2 home, unfurnished dwelling comprising of 3 bedrooms and 2 bathrooms on each level. 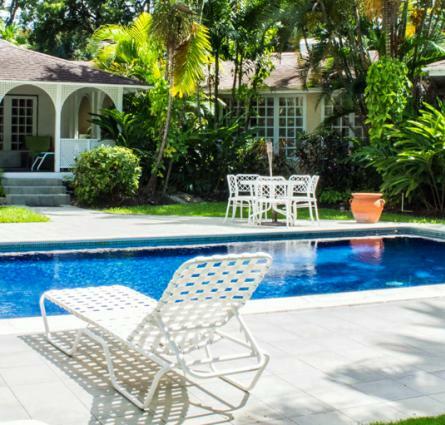 It is in close proximity to Warrens and its many amenities and a short drive to Bridgetown. The home sits on a flat lot measuring 6,369 sq.ft. and is enclosed. Both dwellings have lovely patios facing the North and overlooking the garden, the upper level has an open plan concept with dining and living flowing onto the patio while the lower level has a more formal dining living arrangement. Both kitchens are separate with opening/window looking into the dining area for ease and has ample cabinets. The bedrooms are all located towards the East of the property of which there is a separate bathroom with shower and water closet down the hallway, the master bedroom on the upper level is finished with an en-suite bathroom and it is located towards the North East of the property. There are laundry areas – the upper level is within the kitchen space and the lower level towards the rear allowing for a washing machine. This is it, a two family dwelling or an investment dwelling – whatever you want it to be. Some work is required. Come now and take a look.